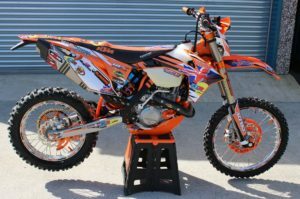 View basket “Supported Rider Offer Silver Package” has been added to your basket. 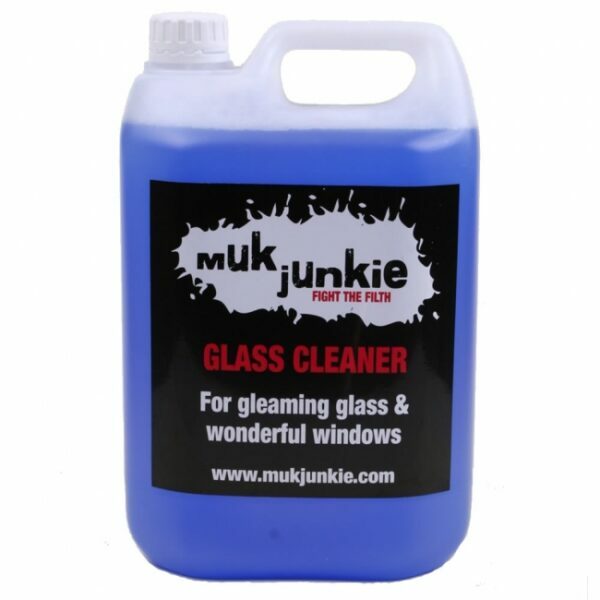 Muk Junkie Glass Cleaner is quite simply a fast glass cleaner that works and will quickly leave a streak and smear free finish! It is great for cars, caravans, boats and any other glass or mirror cleaning duties. Simply spray on, wipe and buff to a crystal clean finish. It is also great for cleaning polished stainless steel surfaces again leaving a perfect, streak free shine. Spray sparingly onto surface to be cleaned. Wipe with a lint free or microfibre cloth or paper towel ensuring all corners are covered and wiped well. With a dry lint free or microfibre cloth buff dry. 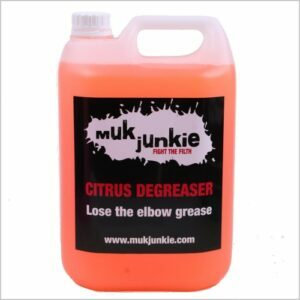 For a final, protective finish to automotive glass, treat your windows with Muk Junkie Glass Sealer. One of the girls in work recommended this for the car, but I use it all over the house: Mirrors, windows, the glass in the shower cubicle. Not tried it on the TV. Still use a piece of old newspaper to buff it up afterwards, though. Super concentrate formulation for long lasting and very economical use. 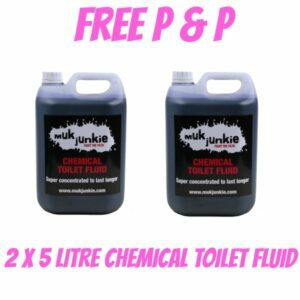 Pleasant and chemical free odour keeps toilet areas smelling fresh. Dark colour when in use for good user acceptability. Advanced bacteria and odour control breaks down solids quickly and keeps odours away. 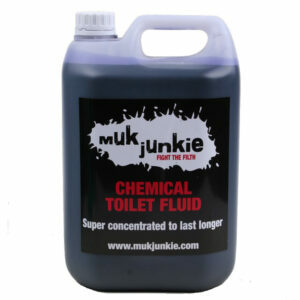 Suitable for use in all caravan, motorhome, marine and static chemical toilets. Glutaraldehyde free, for safe use and storage. Concentrated additive package allows longer periods between emptying if needed for long trips away.